The Waco Aircraft Company (WACO) was founded by notable barnstorming pilot George ‘Buck’ Weaver, who started initial production of the legendary aircraft in the 1920s. 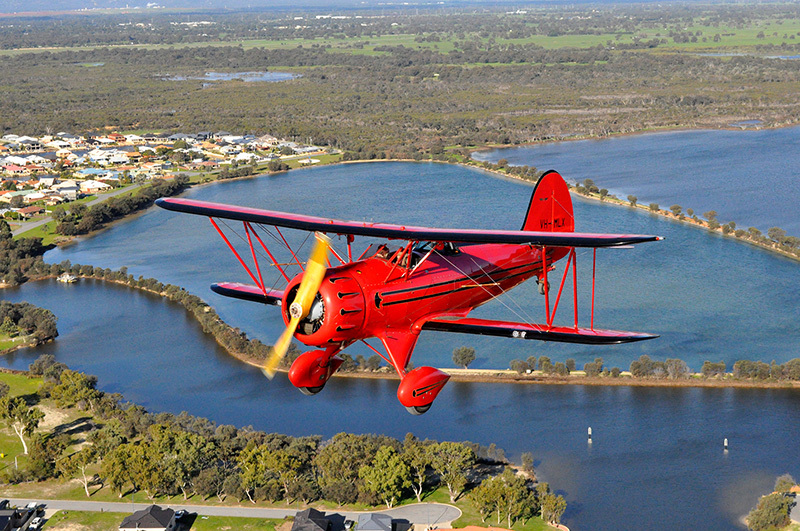 Our very own WACO aircraft, affectionately named Mr. Mojo, is a 1930’s style YMF-5 model bi-plane and boasts a powerful 275 horsepower, seven-cylinder Jacobs radial engine and can safely and stylishly carry two passengers in an open-air cockpit, providing unprecedented views of below and beyond. We offer a range of destinations including Scenic Joy Flights from Perth, Flights to Rottnest Island, Margaret River, Monkey Mia and a range of other destinations.